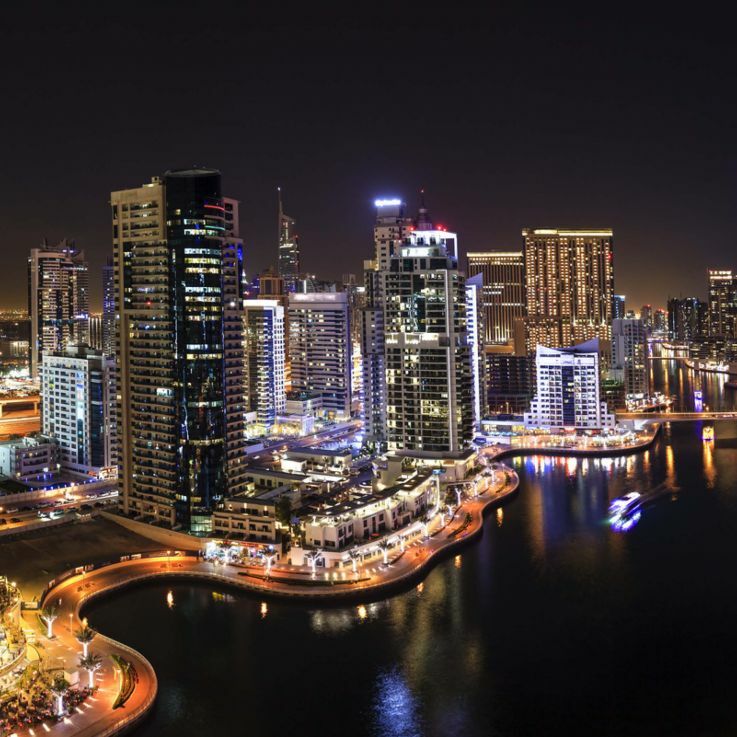 Renowned for its luxury shopping, ultramodern architecture, and lively nightlife, Dubai is an excitingly extravagant and captivating city to visit. Its skyscraper-filled skyline is dominated by the 830m-tall Burj Khalifa tower, while off-shore lie the man-made islands of Atlantis and the Palm boasting exclusive luxury resorts with water and marine-animal parks, popular with families, couples and honeymooners. Once you’ve shopped ‘til you’ve dropped, you can find some of the other attractions Dubai has to offer from 4x4 desert safaris, sandboarding, traditional souks, to exploring the restored heritage area, formerly known as the Bastakia Quarter, containing craft shops, cultural exhibits, art galleries and courtyard cafes along narrow walking lanes. Madinat Jumeirah is a recent addition, and is a contemporary interpretation of a traditional Arab village; at its heart lies Souk Madinat Jumeirah, palm-fringed waterways, gardens, desert-coloured hotels and villas, and enchantingly lit up at night. 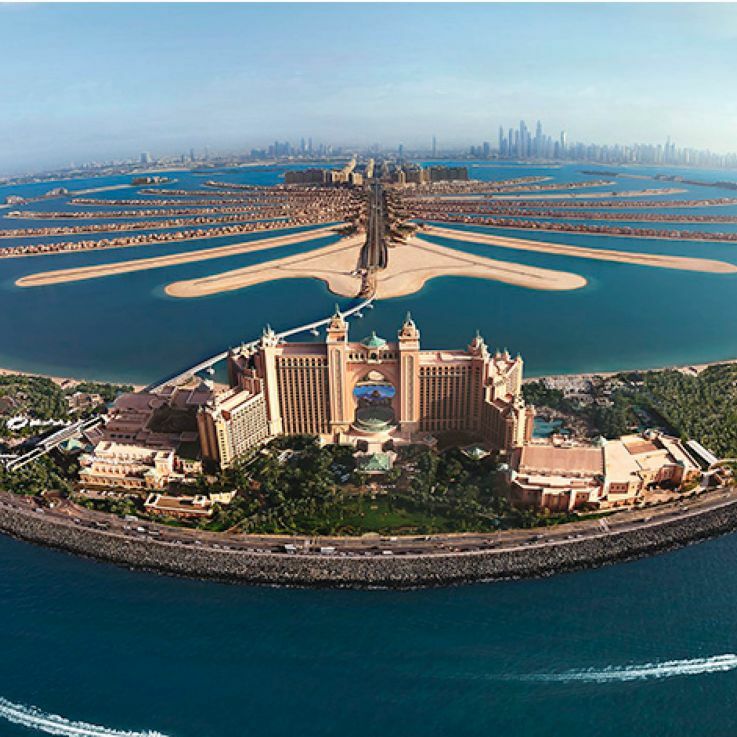 Home to residential and hotel projects, including the Atlantic The Palm, where you'll find the fun-filled Aquaventure Water Park (a must-do for a fun day out), the manmade Palm-shaped island has the wow-factor, especially when seen from flying low over the city. It's rumoured to even be visible from the moon!